A potassium deficiency is also known as hypokalemia and it can lead to damage to your body, especially the nerves and muscles if you don’t treat it. By recognizing the signs of it, you will seek treatment before it gets too serious. This in turn can prevent serious damage and undo any side effects you experienced. Most of the time home care will be enough to solve a potassium deficiency but in some extreme cases, you may require medical attention. Potassium is one of the minerals within the body. 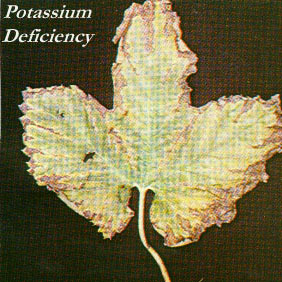 Excessive excretion of potassium or low potassium intake can cause potassium deficiency. A normal potassium level is considered to be between 3.5 and 5.0 mEq/L (milliequivalents per liter of blood – the measure that evaluates potassium levels). To have a low potassium level, it must be lower than 3.5 mEq/L. Those with eating disorders or AIDS, who have had bariatric surgery, or alcoholics have a relatively higher risk of potassium deficiency. Other factors that can contribute to low potassium levels include diet, excess excretion of potassium, certain medications, excessive use of laxatives, and particular health problems and hereditary defects. Memory related problems such as temporary memory loss, difficulty concentrating, weak memory, etc. Skin related issues like acne, skin dryness, skin eruptions, blistering, etc. Anytime that you experience symptoms linked to low potassium, you should talk to your doctor. In any case where you are taking diuretics and feel faint, have palpitations, weakness, or muscle cramps, you should seek urgent care. If you don’t show symptoms, you won’t know what your potassium levels are without a blood test or ECG (electrocardiogram). Those with low potassium levels can try to increase them by consuming foods that are potassium-rich. Ideally you should get 2000 milligrams of potassium daily. Some foods that are rich in potassium include bananas, avocados, milk, peanut butter, granola, bran, beans, potatoes, peas, lima beans, Brussels sprouts, tomatoes, raisins, prune juice, peaches, cantaloupe, watermelon, oranges, and kiwi. Another way to treat potassium deficiency is to take a supplement. Most of the multivitamins you will find in stores will have 99 mg of potassium or less per serving. Because of this, most doctors who recommend supplements will suggest that you take one that is more powerful. Visit your doctor: Go to your doctor to confirm that you have a potassium deficiency and discuss possible causes. This will require a simple blood test. Normally low levels will be due to excessive excretion through the urine or losing too much in the digestive tract. Monitor potassium levels: You will need to monitor your levels of potassium and ensure that your kidney function is fine. In cases where kidney function is normal, doctors frequently recommend diuretics that spare potassium to help your body conserve it. Some of the possible diuretics your doctor may recommend include spironolactone, eplerenone, and amiloride. Get intravenous injections of potassium: Receiving an intravenous potassium injection should only be a last resort. Most doctors will only recommend it if your levels are low to the point of danger or abnormal heart rhythms and oral supplements didn’t help. Treatments based on the severity and type of symptoms: In the case of potassium replacement therapy, your doctor will determine it based on the severity and type of symptoms shown. It will only occur after the results are confirmed by a lab test. These levels range from 2.5 to 3.5 mmol/L and in cases where there are only minor symptoms (or do not exist at all), a patient will take potassium as a liquid or pill. Sometimes a high dose can lead to stomach irritation and vomiting and the same is true of specific preparations of the supplement. Because of this, you should be sure to follow your doctor’s recommendations when selecting one. In cases where significant symptoms (such as cardiac arrhythmias) are present or you have levels below 2.5 mmol/L, you will receive potassium through a slow IV. Your doctor may recommend admission to a hospital for observation. In some cases, both oral and intravenous potassium may be necessary. Most of the time, those with extremely low levels of potassium will receive an IV drip and be put on a cardiac monitor.